Join Junior League of St. Louis on Thursday, May 3, 2018, for our inaugural “9 and Dine” event. A Kentucky Derby-themed four-person scramble, the event will take place at Algonquin Golf Club (340 N. Berry Rd, 63122). Prizes will be awarded for winners and best costumes. Run for the Roses raffle tickets – We will have several fabulous items for raffle and the winners will be announced during dinner. Gentlemen: Sport slacks or walking shorts with at least an 8 inch inseam. Collared or turtleneck or mock turtleneck shirt at all times. Shirts must be tucked in, and caps facing forward. No denim is allowed. Ladies: Skirts or tailored full length slacks or walking shorts with at least a 6 inch inseam or a maximum of 6 inches from the knee. Tank and tennis tops are unacceptable. If you are unable to play, we welcome substitutions at no additional charge. Please email all substitution changes no later than Friday, April 27 to funddevelopment@jlsl.org. No refunds after Friday, April 27, 2018 at 11 a.m. The event will be played rain or shine except in the event of severe inclement weather. If the conditions do not allow you to play on the scheduled day, the dinner and raffle will still be held as scheduled at 6 pm. Players will be reimbursed the greens fees of $56.50 per player. 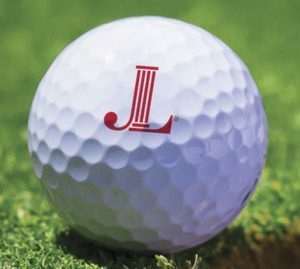 If you are interested in being a sponsor for the next 9 and Dine golf event or have additional questions about this event, please contact the Fund Development Team at funddevelopment@jlsl.org.